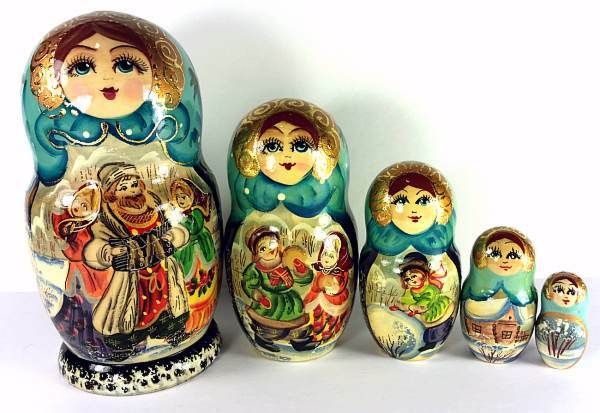 Groups of older and younger country folk are enjoying a refreshing winter day in this medium size nesting doll. Music is in the air in the largest piece, and the children are just having lots of fun in the next two pieces. The doll has a bright cheerful look and each piece has nice shiny layer of lacquer. Signed by the artist, Ivanova, at the bottom of the largest piece. Perfect present for the winter holiday season!